This is a lovely rich moisturising and protecting Stretch Mark Cream that effectively protects and treats existing stretch marks*. 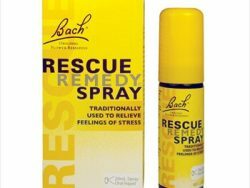 It has a delicate, but delightful aroma and glides onto your belly like silk! Go on, spoil yourself! 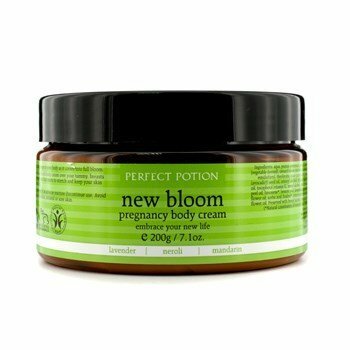 Perfect Potion New Bloom Pregnancy Body Cream contains star natural ingredients that have traditionally been used to support and protect skin structure and elasticity during pregnancy stretching and also whilst losing weight after giving birth. This delightful stretch mark cream is sure to keep your skin protected and well nourished as your tummy begins to grow with its pure and natural ingredients of creamy cocoa butter, apricot kernel, avocado and mandarin oils. 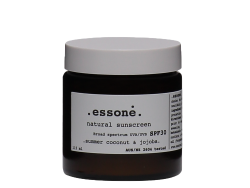 Naturally present Vitamin E is known for it’s protective and healing effects on the skin. Mandarin oil is used extensively in Traditional Chinese Medicine as well as Aromatherapy for preventing new stretch marks from forming, as well as reducing existing stretch marks. After showering, when your skin is still slightly damp, smooth this ultra-rich body cream over your tummy, breasts and anywhere else that starts to stretch. Apply once or twice a day ensuring your skin feels well-nourished. Embrace the changes in your body as it comes into full bloom and surround yourself with positive and loving thoughts! Aqua, Prunus armeniaca (apricot kernel oil), Glycerin, Cetearyl olivate, Sorbitan olivate, Cocoa butter, Avocado oil, Cetearyl alcohol derived from coconut oil, Wheatgerm oil, Vitamin E, Benzyl alcohol, Mandarin oil, Limonene, Benzoic acid, Lavender oil, Sorbic acid, Linalool, Neroli oil. *Massaging with stretch mark cream has been shown to be beneficial in the prevention & treatment of stretch marks.